None of my professors has ever been this helpful! The course and teaching style are outstanding. 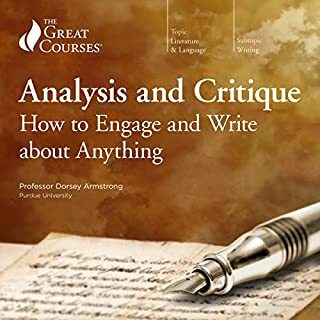 It delivers what it promises - all principles one can learn from those finely structured lectures can really be applied in every piece of writing. A classic surely worth reading; Perfect NARRATION! The book does not need an introduction, it is one of the most influential titles in modern philosophy of mind. In my personal top ten books in this field there are not many equally basic and important, perhaps even only one: "The Conscious Mind..." by David Chalmers. But what really must be a focus in a review of this particular audio version of the book is Paul Mantell's narration which is incredible - an unsurpassed art of vocal performance, in itself a classic which will never be outdone. Although I have listened to well over 100 audiobooks from Audible thus far, I have never listened to such narration before. Not only it has perfect timing, diction, and other purely technical characteristics at the top, but it unfailingly keeps a sense of humor and otherwise mimic Daniel Dennett himself, even manyfold better than he could! In sum, not only the book, but also the narrator is a gem - he deserves a recognition no doubt and should be given personal "thank you" from the author. A good intro. Embracing consciousness as illusion. 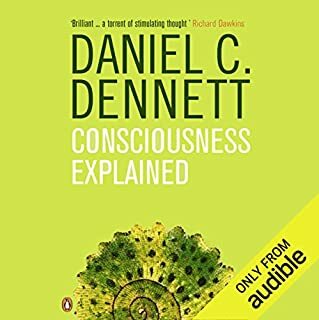 a lucid and engrossing introduction into problems with and theories of consciousness, embracing the theory of consciousness as illusion which is the leitmotif in the book. The taste of the motif you can get from a ca. 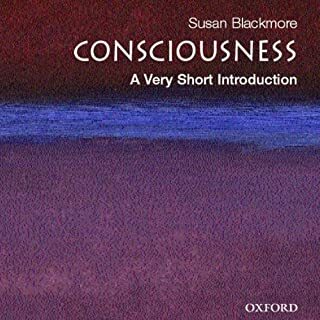 15min long informal review with S. Blackmore done by Richard Wiseman, where, among other things, she talks quite a lot about her background and sources of her theory of consciousness. For some fragments / pictures it is worth having a textual version of the book. The narration is good. 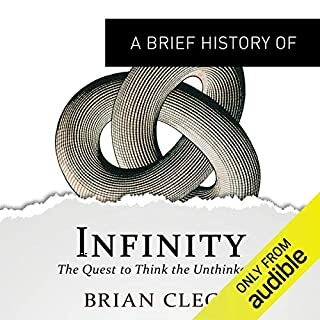 The audiobook is well narrated and overall good at outlining the history of thought on infinity since ancient Greeks steadily onward. Unfortunately, many a time the narrator reads long equations which are virtually impossible to reconstruct in the mind’s eye. Surely, some supplementary PDF or accompanying ebook is necessary. In the lack of the former as of this writing, I’d recommend buying the latter, which sets you back ca. 3 dollars in kindle format, it’s worth that. 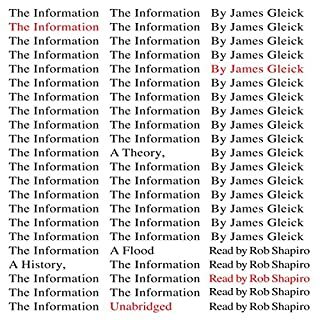 But be aware that there are two entries on Amazon, and for the entire listening I thought that there is only paperback available. 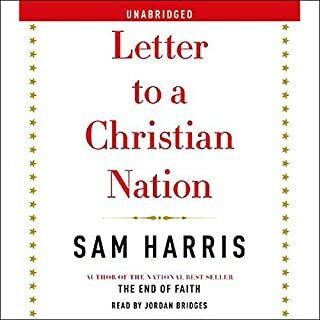 Although the essay is aimed mostly at biblical literalism and non-liberal Christianity, a bulk of it may be applied to theism in general. In fact, one could say that all typical elements of both evangelical and liberal Christianity are addressed; and as icing on the cake even muslims are not left in politically-correct peace, being several times used to make some anti-religious point. What's more, though the piece handles theism exclusively, it may serve as a concise expression of atheistic humanism against religion as such because it pits reason, openmindedness, humanitarianism, and creativeness of science against uncritical faith, blindness, immorality, and destructiveness of dogmatism easily found in and fostered by every religion. Brilliant book, heroic reader, better in print? Broad content but badly presented in over-digressive and long-winded style; I'm unlikely to buy any other book of this author. 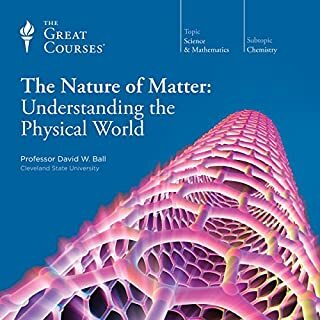 This course is worth a few books. 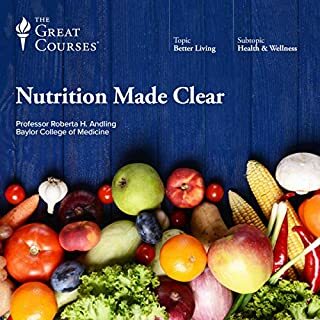 Practical and full of tips, it teaches dietetics in its best. In addition, a large portion is devoted to weight management and physical activity, so you will get a know-how about physical activity and training. For well over 2,000 years, much of our fundamental "desire to know" has focused on science. Our commitment to science and technology has been so profound that these stand as probably the most powerful influences on human culture. To truly understand our Western heritage, our contemporary society, and ourselves as individuals, we need to know what science is and how it developed. In this 36-lecture series, one of science's most acclaimed teachers takes you through science's complex evolution of thought and discovery. 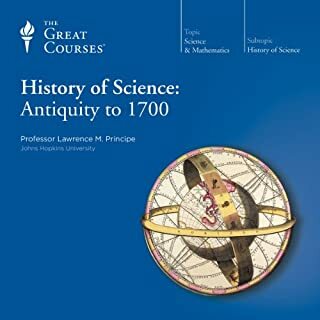 Unfortunately, I've got to admit to what another reviewer said - the course is superficial, at least in that prof. Lawrence M. Principe could do better job in giving more factual knowledge on such quite basic topics in his course as history of alchemy, chemistry, astrology, medicine, etc. by being more specific and providing more details, instead of uttering many empty words. 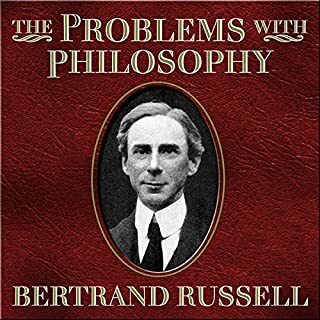 Having said that, the course contain pretty substantial number of facts to satisfy listeners expecting a primer (even listeners familiar with the history and history of philosophy of the covered period should be satisfied, though not fully).